Brocade has acquired Vistapointe, a start-up based in San Ramon, California with operations in Ireland and Bangalore, India, for its cloud-based and real-time network intelligence solutions for mobile operators. Financial terms were not disclosed. Vistapointe specializes in data extraction, analysis and insight generation technologies that enable mobile operators gain visibility into their mobile networks. Vistapointe’s product portfolio leverages Network Functions Virtualization (NFV architecture), enabling it to run in the cloud. The Vistapointe solution enables Mobile and Het-Net operators to monetize the explosion of data traffic, save and optimize their cost-structure through better visibility and reduce subscriber churn through better QoE. The solution passively taps into the data, session and signaling layers of 3G, 4G LTE and Wi-Fi networks non-intrusively, while complying with 3GPP, IETF & IEEE standard protocols. Brocade said the acquisition helps it to address the emerging opportunities and requirements of mobile network operators, providing them with enhanced network visibility and analytics of subscriber data traffic. These capabilities will be essential for MNOs rolling out 4G/LTE technology across the billions of mobile devices deployed worldwide, led primarily by data networking requirements. This also establishes a firm technology foundation for MNOs as they begin the migration path to 5G technology in the coming years. The expected revenue for data traffic over mobile handsets will exceed $358 billion (USD) by 2018, representing the single largest source of revenue for MNOs over the next six years, according to industry research firm Analysys Mason. 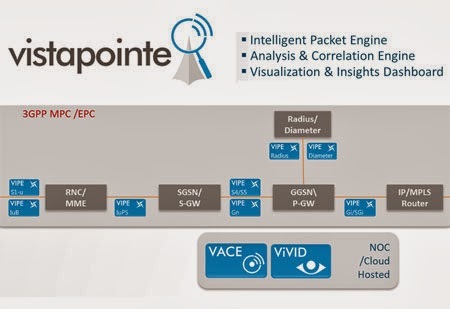 In addition to enhancing the Brocade NFV technology portfolio, the Vistapointe acquisition directly complements the existing Brocade MLX-based IP telemetry solution to provide MNOs with an end-to-end network intelligence solution, from the network packet broker to analytics applications. With this transaction, the Vistapointe technologies are being incorporated into a new Network Visibility and Analytics group reporting into Jason Nolet, Vice President of the Switching, Routing, and Analytics products group, Brocade. "With the massive growth in connected devices and the dominance of data in mobile networks, network visibility and analytics will be more important than ever. And, as mobile operators continue the aggressive pace at which they intend to adopt software networking solutions, they will benefit from complementary, NFV-based analytics tools to improve subscriber quality of experience and security while also dramatically reducing costs," Nolet said. "The Vistapointe team has recognized the disruptive opportunity of leveraging NFV-based solutions for analytics, and we believe its technology is at the forefront of this space and perfectly aligned to the needs of mobile operators." "The Vistapointe acquisition affirms our commitment to SDN and NFV as a means to disrupt the status quo of the networking industry," said Ken Cheng, CTO and Vice President of Corporate Development, Brocade. "We will continue to execute against a focused strategy that leverages M&A, strategic partnerships, open source communities, and organic innovation to deliver next-generation networking solutions that are open, virtual, and simple." As part of the transaction, Vistapointe CEO, Ravi Medikonda, has joined Brocade as Vice President of the Network Visibility and Analytics product group. 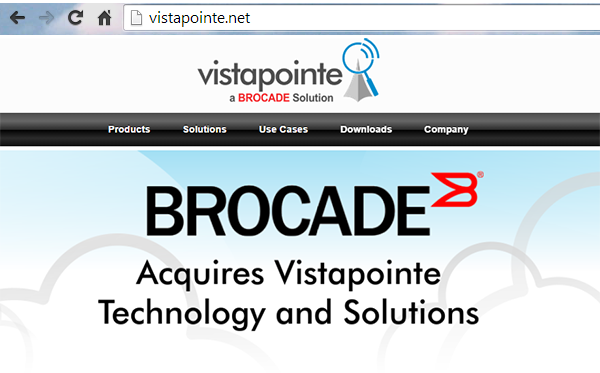 Furthermore, Brocade has hired the Vistapointe development team, and they will report into Medikonda as part of the new business unit. Vistapointe was headed by Ravi Medikonda (CEO), who previously held leadership roles at Juniper Networks in its Product Management & Marketing groups. Before Juniper, he was Director of Product Management at Tellabs/Vivace Business Unit with P&L responsibility for the IP/MPLS products and successfully led Tellabs into the 3G/Wireless RAN backhaul market. 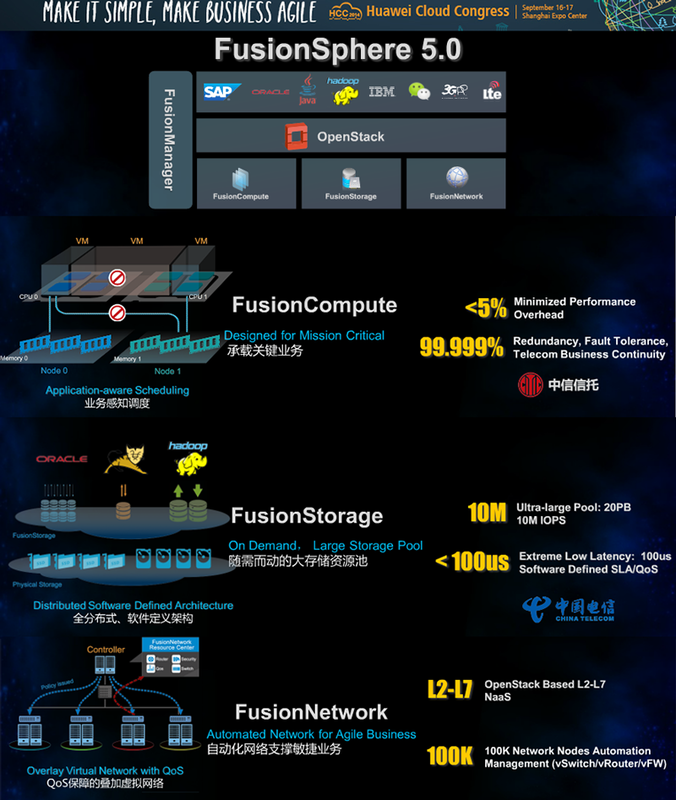 At its Cloud Congress this week in Shanghai, Huawei rolled out its FusionSphere 5.0 architecture for unifying compute, storage and networking in virtualized data centers. Key themes include scale-out performance, software-defined data center infrastructure and an increased focus on big data analytics. Huawei expects 100 billion devices, sensors, and network nodes online by 2025. Huawei plans to invest US$1 billion in R&D to expand its professional services over next 3 years. 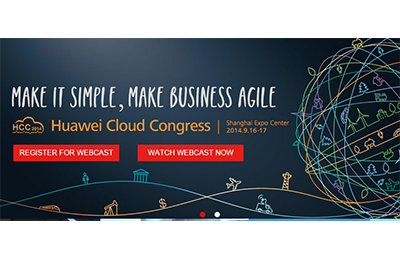 Looking beyond enterprises, Huawei is using the same principles for NFV and telco clouds. Huawei also released its 2014 Global Connectivity Index (GCI), a barometer of ICT development in 25 nations. Germany came out in top place thanks to its broadband infrastructure and industrial automation progress. 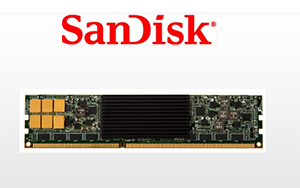 Huawei Technologies will use SanDisk's new ULLtraDIMM SSD in its high-performance RH8100 V3 servers. Testing by Huawei demonstrated the ULLtraDIMM SSD achieved the industry’s lowest write latency at less than five microseconds and offered bandwidth that topped that of any other SSD solution. Adding flash-based storage to the DDR memory bus with direct connection to the processor allows Huawei to deliver a more powerful solution. Huawei will combine the ULLtraDIMM with its self-developed caching software in order to accelerate application performance with the lowest possible latency, while offering the scalability to handle bandwidth-intensive database and virtualization applications. Ixia is now current in filing all required periodic financial reports with the SEC. The company is welcoming Bethany Mayer as its new CEO. Mayer brings over 25 years of technology experience to Ixia and joins the company from HP where she has held several key executive roles since 2010. Most recently, Mayer served as HP’s senior vice president and general manager of its Network Functions Virtualization (NFV) business and led the company’s NFV initiative. Previously, Mayer was senior vice president and general manager of the HP Networking Business unit, where under her leadership the business unit delivered 12 consecutive quarters of growth. Ixia also reported second quarter 2014 revenue of $109.5 million, compared with $112.0 million reported for the 2013 second quarter and $113.7 million for the 2014 first quarter. The 2014 second quarter revenue includes $13.3 million in revenue from Net Optics, which was acquired in December 2013. 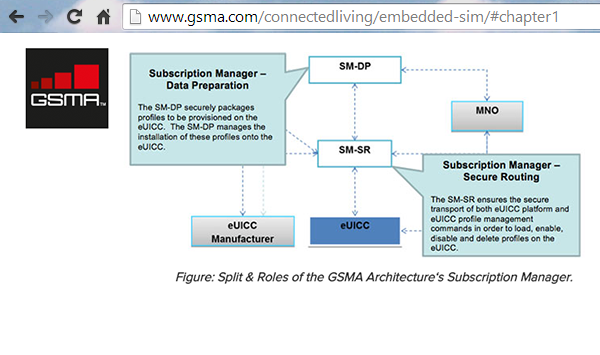 AT&T Mobility will begin offering a Global SIM card that meets the GSMA specifications for multi-profile SIMs. This will help multi-national companies to connect, manage and support connected and M2M devices around the world. Dimension Data, the ICT solutions division of the NTT Group, is standardizing its Managed Services for Data Centres on a global basis. Dimension Data manages server, storage and networks for on-premise, cloud and hybrid data centers using a state-of-the-art Managed Services Automation Platform. The company said the launch of this suite of managed services is the next step in a set of strategic initiatives to expand the group’s capability to consistently support domestic and multinational clients’ data center transformation requirements. The company aims to quadruple the size of its data center business to US$4 billion by 2018.
routine transactional and knowledge work across the network, server, and storage for on-premise and cloud environments," stated Steve Joubert, Dimension Data’s Group Executive for Data Centres. 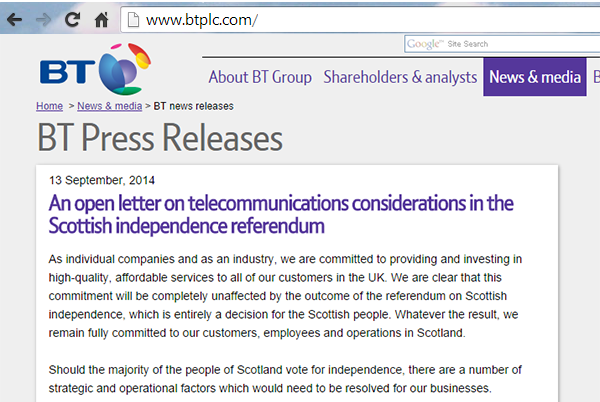 BT published an open letter regarding the upcoming independence referendum in Scotland. How would a Scottish telecoms industry be regulated? Would there be continuity with the current European Union regulatory framework, enabling BT to continue to operate across the border with common infrastructure under a single set of rules? What approach would the government of an independent Scotland take to the radio spectrum - currently licensed on a UK-wide basis - without which mobile networks cannot operate?